Nigeria’s Goodluck: No Violence Over Presidential Bid | Thoughts of a Calabarboy. 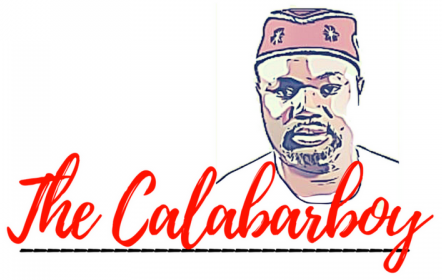 Nigeria’s Goodluck: No Violence Over Presidential Bid – Thoughts of a Calabarboy. Nigeria will not fall into violence over his decision to stand for elections next year, President Goodluck Jonathan said in an exclusive interview with CNN. “I can tell you very clearly that violence will not break out because of my interests. I can tell you very clearly,” Jonathan said in a wide-ranging interview at the presidential palace in Abuja ahead of October 1 celebrations marking 50 years of independence. In September, Jonathan declared his intention to run in the October presidential primaries for his party, the People’s Democratic Party. Under Nigerian “zoning” rules, power must rotate between the north and the south every eight years. Jonathan — a native of the Niger Delta region in the south — was vice president under President Umaru Yar’Adua, from the north, when he died in May three years into his first term. “In the first place if this country had agreed the presidency rotates between north and south I would not be the president today. I couldn’t have been if there is an agreement in this country that it rotates between north and south,” Goodluck reasoned. “I couldn’t have been the president the day Yar’Adua died — another northerner would have taken over and I could have continued as the vice president. Goodluck acknowledged that Nigeria is grappling with limited resources, corruption and high poverty, despite being a world leader in oil production. → NIGERIA AT 50: ARE THE “BEAUTIFUL ONES” YET BORN?